Vast fields of lavender, flowerbeds that scream of a gardener's instinct, rustically beautiful budding crops... This popular flowery trail focuses on letting you enjoy the delicious taste of vegetables from the rural landscape. With a temperature that fluctuates greatly depending on whether it's day or night, these vegetables' tastes are as strong as the plants themselves. You'll see a great new side of these vegetables as you sample authentic French and Italian cuisine, as well as visit farm restaurants. In addition, the area is also dotted with sake breweries and wineries, so you can enjoy the lovely marriage of drinks and gourmet food. 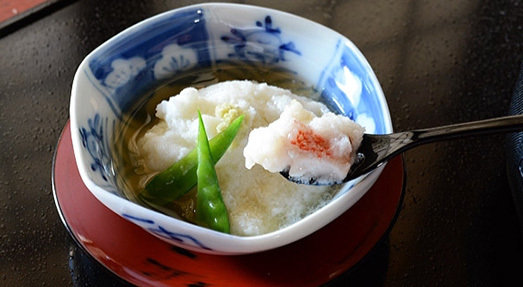 The main city of the region, Asahikawa, has always been home to a beloved food culture, so come and take a bite for yourself! 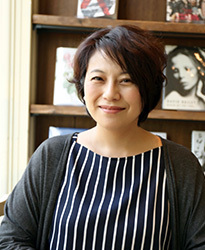 A garden restaurant managed by Japan's representative master of French cuisine, and Hokkaido's leading cook for Italian. 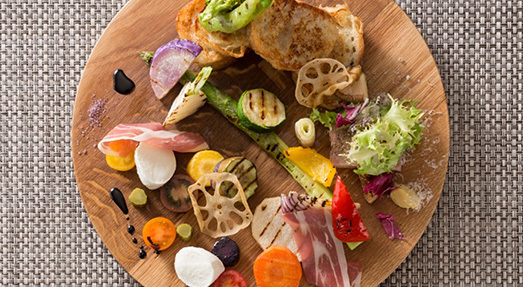 Using local produce and ingredients gathered from all over Hokkaido, it proposes a "Hokkaido cuisine" that maintains the essence of French and Italian cooking. In addition, the location gives restaurant goers a grand view of the Daisetsuzan Mountains. This restaurant is actually a French-style auberge, making it also perfect for dinner. 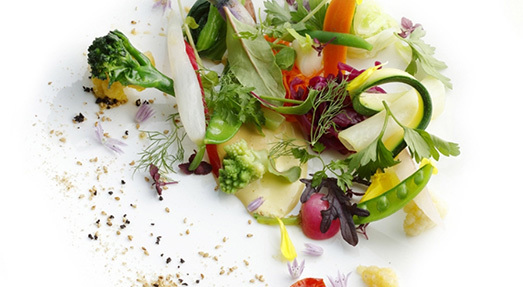 A French restaurant starring Biei-grown vegetables. The chef has a goal of "bringing the most out of these vegetables," and proves it with their work, painstakingly searching for the best way to cook and putting together a scrumptious, polished meal. The same building also houses Biei Senka, a shop selling vegetable samples. Along our "garden trail," there are plenty of farm restaurants - in other words, stores opened by the farmers themselves. Using produce painstakingly grown by their own hands, they draw out flavor from their ingredients with simple meals. These restaurants are typically small and may be closed on certain days due to necessary farmwork, so please check whether the restaurant is open before you go. A small farmer's cafe that operated by Farm Rera, a natural layer hen farm. 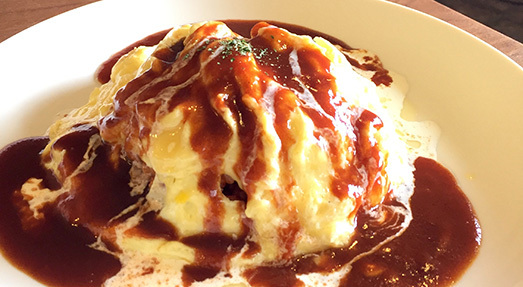 Both the fluffy eggs and rice of their omurice dish use homemade ingredients. While the restaurant doesn't keep regular hours, it is primarily open on the weekends. A farm restaurant located right in the middle of Kamifurano's rural district, opened by a group of female farmers. 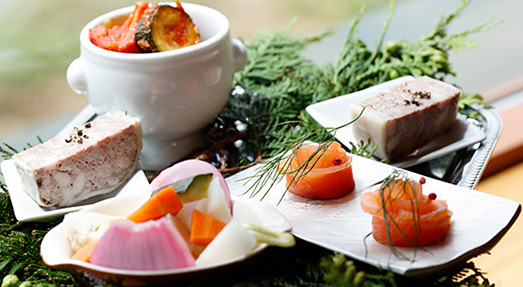 One of their most popular items is their pot-au-feu, which seems to overflow with an abundance of vegetables. 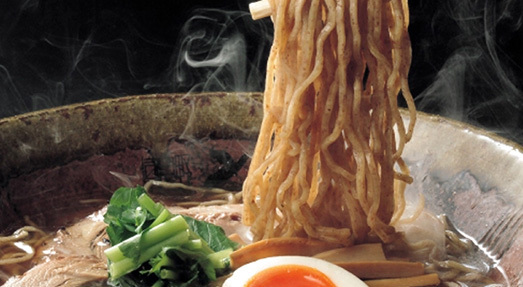 Hokkaido's second city, Asahikawa, has its own particular food culture. For example, Asahikawa ramen. 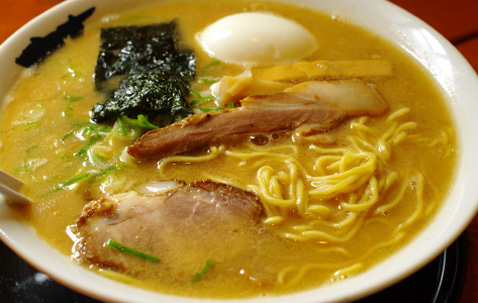 It is distinguished by its broth, which combines seafood and pork to create a deep flavor with a light soy sauce aroma. 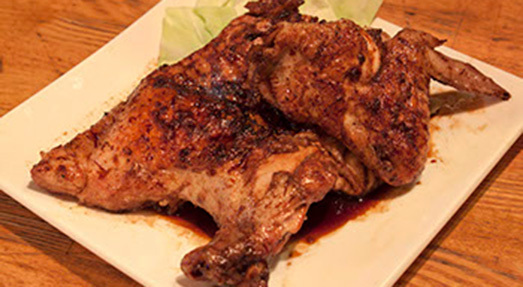 Also familiar to locals are salted pig offal, a reminder of the city's prosperous history of pig farming, as well as the grilled chick, which involves grilling half the body of a young chicken. 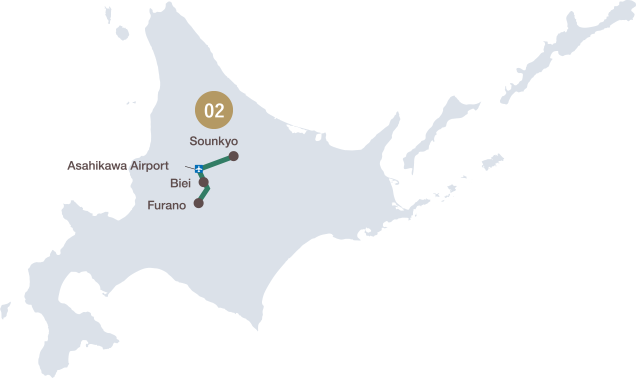 Due to its status as an important point connecting the Sea of Okhotsk and the Sea of Japan, it boasts high quality seafood despite being inland. Using chicken from Hokkaido's Shiretoko region and taking your time to carefully grill it, shinkoyaki (grilled chick) is a must-eat. While the freshness of the ingredients is a given, this particular shop also makes its own salt, and uses high-grade charcoal produced from ubame oak. At this shop, the delicious pork broth manages to be deep-bodied without having a strange aftertaste. 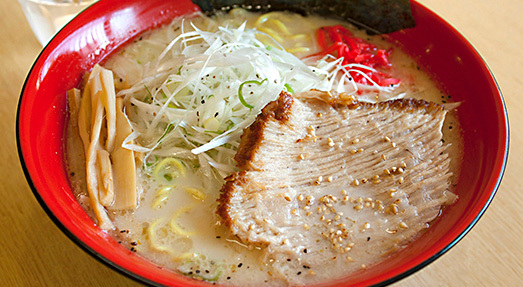 They also offer original varieties, including the refreshing citrus-scented yuzunegishio (yuzu green onion salt) ramen, as well as the kamomiso (duck miso) ramen. After finishing renovations, this historical mansion was opened as a restaurant in 2014. Lunch is cooked from local Aibetsu mushrooms and soba, with a focus on brown rice and seasonal vegetables; at night, you can enjoy a banquet made from seasonal Hokkaido foods. A French restaurant sitting on top of one of Biei's hills. 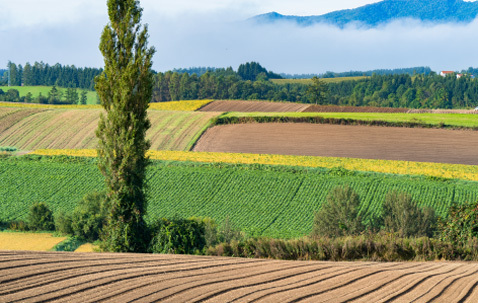 On top of the delicious cuisine made from local Biei vegetables, the warm, fragrant bread and picturesque view of the wide fields all around are truly magnificent. It is recommended to make your booking for the affiliated accommodations several months in advance. Higashikawa, famous for its rice. 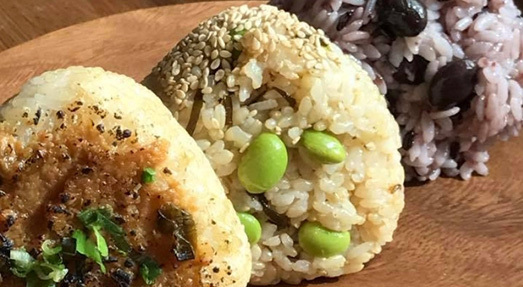 15 different types of onigiri (rice balls) can be prepared by cooking local rice in Higashikawa water. Get a taste as you enjoy the view of the rice fields. 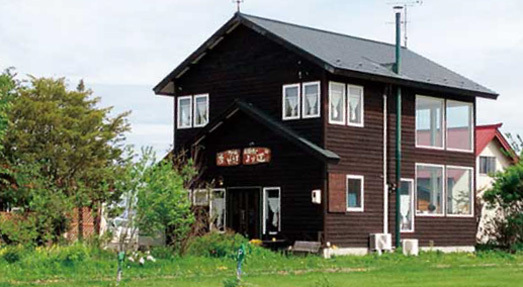 A Furano Rokugo ramen shop, famous in Japan for its appearance in a classic television drama, Kita no kuni kara. Making "local foods only" into their motto, they take care to use local ingredients in their noodles and soup, and try to communicate the charm of Furano with every ingredient.